There are many good books on how charts and dashboards should be designed, but little practical guidance on applying those design rules to Excel. This book bridges that gap, introducing the science-based principles of designing documents for easy understanding and the ground-breaking BlinkReporting™ approach for implementing those techniques in Excel. How will Brilliant Excel Dashboards Help me? An eBook download (PDF) with 87 A4 (letter if you are American) pages of hints, tips, lots of illustrations and detailed instructions. A simple-to-use Excel book of examples from the book. Perfect to copy and customise for your next dashboard or report. A 5-page Design Checklist PDF to help you pinpoint which parts of your existing reports and dashboards work and which need improvement. 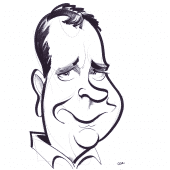 As the owner of Made to Measure KPIs, he has worked with major organisations including Airbus, HSBC, UBS, Lloyd’s Register, Scottish Widows, Tesco Bank, Yorkshire Building Society, RSA and many others. 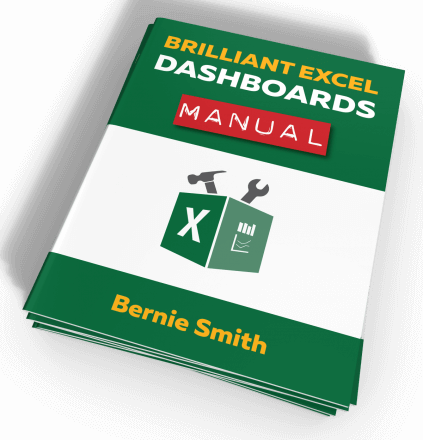 As part of the Brilliant Excel Dashboard System, this manual is specifically designed to work with the tools and templates of the BlinkReporting™ approach explained in this manual.